Rockin' Blooze! Not your daddy's blues band! 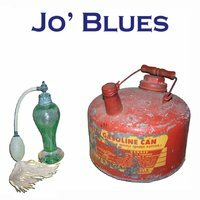 Jo' Blues has been around since 2000. Originally born in Los Angeles and moved to Pennsylvania in the late 2000's. A power trio that puts the rock in blues-rock! A combination of newer blues and different styles of traditional blues that makes you feel good and get your groove on. From high energy to a traditional blues approach with a blistering cover of the Willie Dixon song, 'I Just Want to Make Love to You' to finish off the ten song CD!